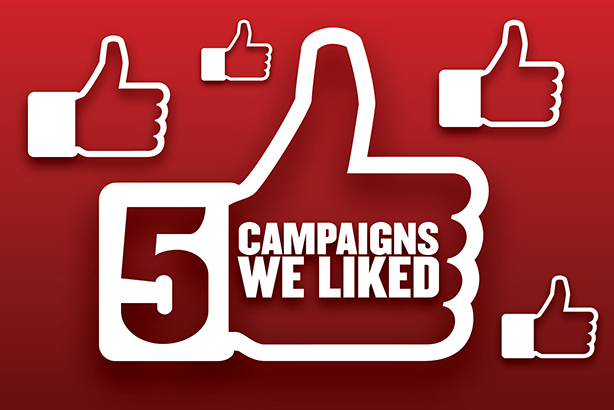 A titanic struggle between PRWeek's five favourite campaigns in January was won – with more than 1,600 votes – by National Geographic's Missing Cat campaign. 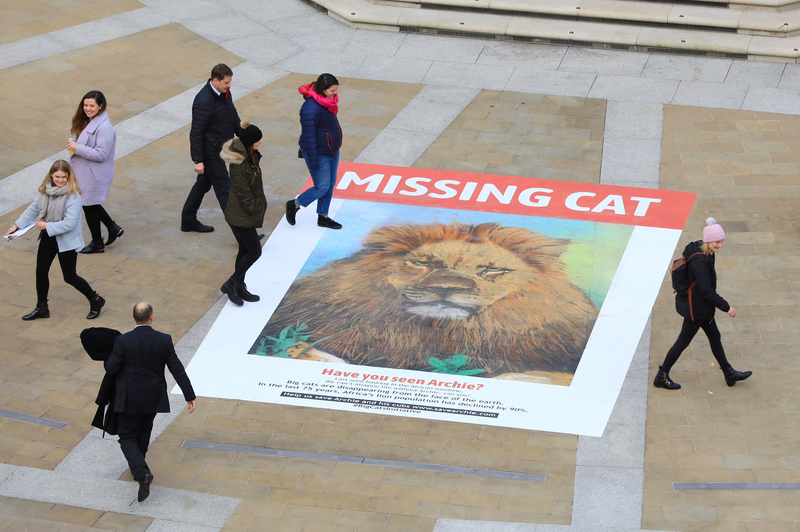 PR agency Tin Man executed the stunt, which involved a giant 'missing cat' poster that will gradually disappear over time, tragically mimicking what's happening to the world's lion population. 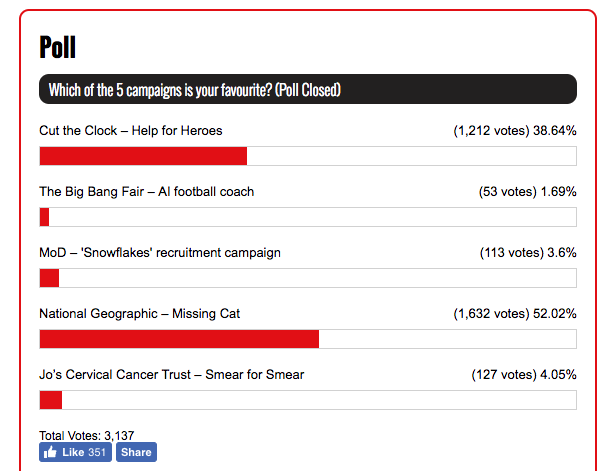 In a close second, still with more than 1,200 votes – typically enough to win most contests – was Help for Heroes' Cut the Clock campaign, which projected a giant clock across the Tower of London on Blue Monday to raise awareness of the four-year delay it takes armed forces veterans to seek help for mental health issues and PTSD.